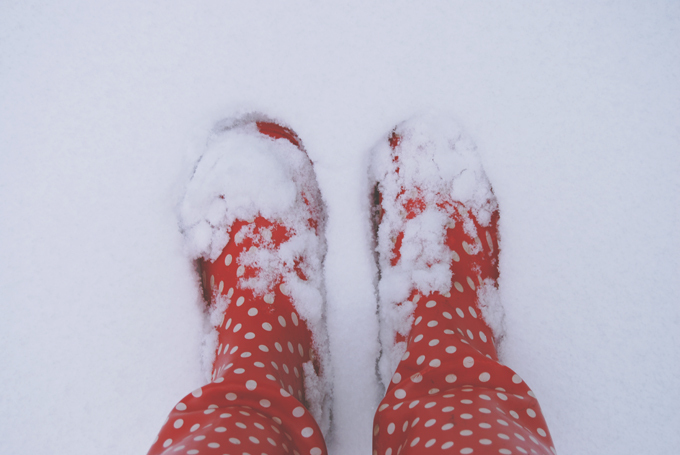 A snowy special of 52 Shoes this week! These are one of my several pairs of wellies. Unfortunately, I noticed when I put them on that they have a little tear in the top. Just an excuse to get more, I guess. Shame! Love! I love red and polka dots so these are prec!! Ekk! Red & white polka dots. So cute.